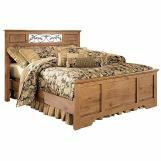 Bittersweet bed . 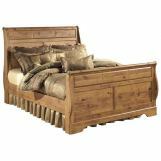 Capture the essence of early American country design with this beautiful rustic bed. 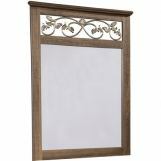 Queen/Full, Queen, King or King/Cal King size available in panel, sleigh, metal sleigh or poster styles. 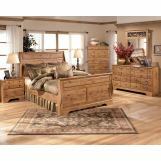 Headboard, footboards and the metal sleigh bed all feature vine decorative inserts and raised panels on the headboard. 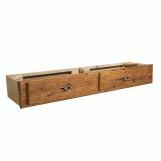 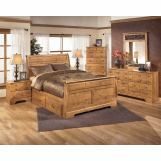 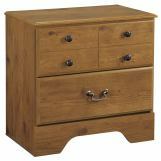 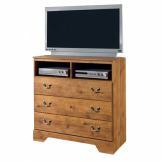 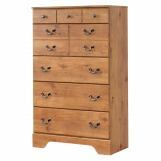 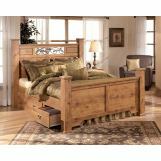 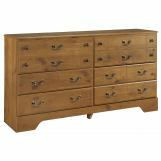 Let this collection come to life in your bedroom with its beautifully replicated rustic pine grain finish. 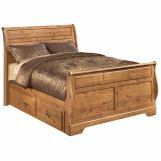 Can you get this headboard in king size?